A mild climate, with long dry summers tempered by breezes from the nearby Pacific Ocean and San Francisco Bay help to make the San Francisco Bay Area and Joseph Eichler’s vision of living “the California way” a perfect fit. More than 10,000 of the 10,600+ homes that Eichler built during his 25 years as a builder were built in the Bay Area and include single-family tract homes, customized homes, and a few multi-family / condominium developments. The South Bay leads the way in volume with 2700 Eichler homes in Palo Alto and 1100 in Sunnyvale – which is also where Joseph Eichler’s career as a builder began. Another 1000+ Eichlers can be found in San Jose, Mountain View, and Cupertino. Smaller communities of Eichler homes are located in Monte Sereno, Los Altos, Saratoga, and Stanford. Santa Clara is home to the only Bay Area Eichler condominium developments found outside of San Francisco. Eichler’s other condominium developments are in San Francisco, where a total of approximately 600 Eichler homes can be found. Most of these are units in Eichler’s condominium developments, which include Eichler Summit at 999 Green Street in Russian Hill, the Cathedral Hill / Laguna condos in the Western Addition, and Geneva Terrace townhomes in Visitacion Valley. A community of detached single-family Eichlers is located in the Diamond Heights neighborhood. North of San Francisco, Marin County has 1700+ Eichler homes located in San Rafael, Mill Valley, and San Anselmo. Most of the Marin Eichlers are located in San Rafael in Terra Linda, Lucas Valley, and Marinwood. Two smaller Eichler enclaves can be found in Sleepy Hollow (San Anselmo) and Strawberry Point (Mill Valley). There are also several custom-built Eichler homes in Marin. The East Bay’s largest Eichler community is in Walnut Creek, where Rancho San Miguel is a neighborhood of 375+ Eichlers. Concord has another 175 Eichlers in three Eichler tracts, including Rancho Diablo. Eichler also built two projects in the Oakland / Hayward Hills. Greenridge, in Castro Valley, is a community of almost 200 Eichler homes and Oakland’s Sequoyah Hills is home to approximately 50 Eichlers. On the other side of the Bay, there are about 1500 Eichler homes on the Peninsula. Arguably, Eichler’s most ambitious project was in San Mateo with San Mateo Highlands, a tract of over 650 Eichlers. Early era Eichler homes can be found in Redwood City, Menlo Park, and Ladera; while Foster City and Mills Estates in Burlingame were developed in the mid-1960s. Two custom-designed homes, lived in by Joseph Eichler and his family, are located in Atherton and Hillsborough. Contact the Eichler for Sale Team if you are interested in buying or selling an Eichler home anywhere in the San Francisco Bay Area. 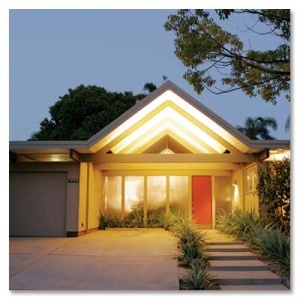 To be informed as new Eichler properties hit the market, sign up for our Eichler Listing Alerts.